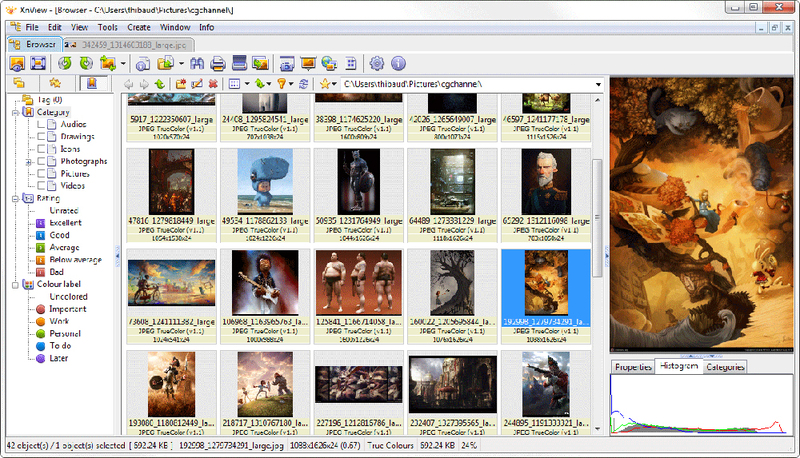 "XnView is a detailed image file explorer capable of converting common file types." 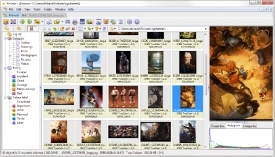 XnView is a detailed image file explorer capable of converting common file types. Unlike Window's default file explorer, XnView will preview the media files and give you options of converting these file types to another common foramt of your choosing. XnView has a well built engine capable of displaying around 500 file formats including multi page and animated still formats such as APNG, ICO, TIFF, and GIF file formats. With XnView, you are able to view your images, edit your images, and create various different types of media with those images such as web pages, slideshows, contact sheets, and more. You can view your images in many different ways, as well. You can view your images in a thumbnail view, fullscreen view, filmstrip view, in slideshows with effects, and even compare the images with one another. XnView expands the ways you are able to view your image library with many different features that Windows lacks out of the box. 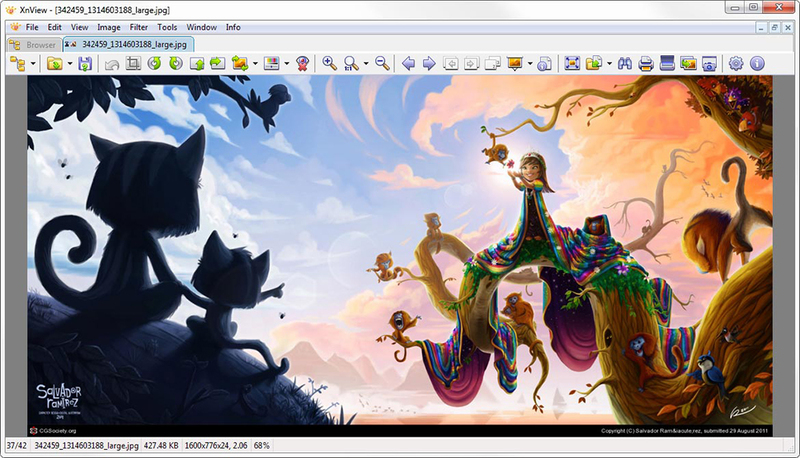 XnView is also an image editor, giving you useful tools to edit your image library with speed and ease. You can edit them by resizing, rotating, cropping, with lossless rotate, brightness and contract adjustments, and modifying the image colors. It is also worth mentioning that XnView has other notable features including metadata support and editing, JPEG lossless transforms, batch processing, batch rename, and a print module. XnView also provides a screen capture module to capturing images as you go. XnView, an extensive image file explorer, gives you powerful features and tools to manage your images at the best of your ability fast and easy.